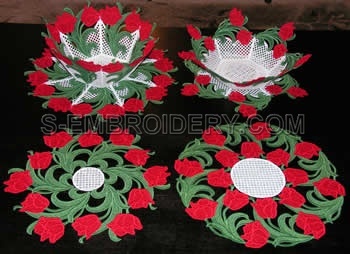 This flower set of machine embroidery designs is a fine addition to our collection of freestanding lace bowl and doily embroideries. 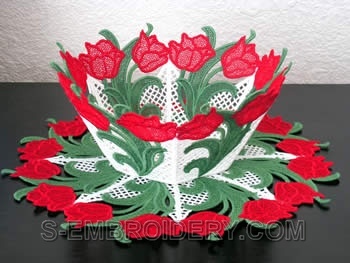 It includes up to 6 different freestanding lace bowls and 4 freestanding lace doilies with tulip flower decorations. 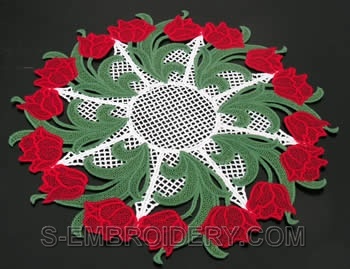 Note: The set will NOT fit the 4x4 hoop. 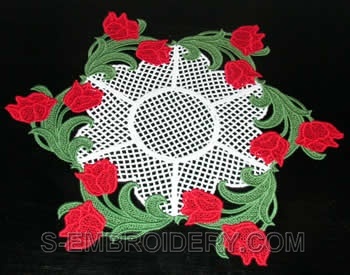 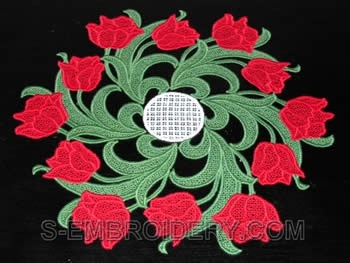 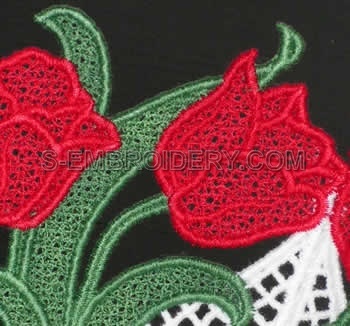 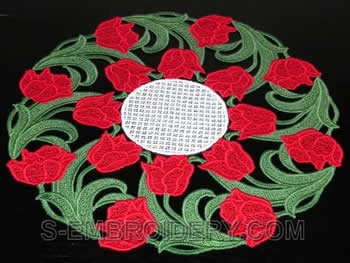 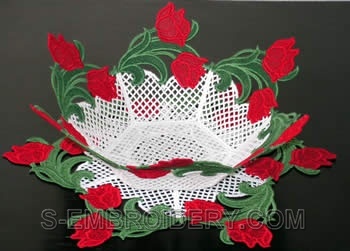 You receive 13 machine embroidery files as well as design information and instructions in PDF format.